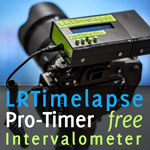 Is there a way, when using the LRTimelapse module, in qDSLRdashboard to set up for a non sunrise or non sunset, to allow the exposure adjustment function? My questions pertains to shooting clouds in a landscape for example, and making a timelapse from the resulting images. I just did this and noticed that the app didn't send an image for reference every third image, like it does when doing holy grail timelapses. This might be handy for cityscapes as well. I wouldn't recommend to use the holy grail approach during daytime to compensate between sunlight / shadows. You camera should have sufficient dynamic range to deal with such situations. Just expose for the brightest situation and let the camera run. If you want to try the auto holy grail on this nevertheless, you need to activate "Auto direction" in the settings, this will autoimatically ramp in both directions. 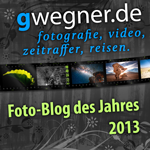 Another tip: if you want to have the images displayed in qDDB while shooting without AHG enabled, just long press on "display next jpg" this will "lock" the button and the jpgs will come in automatically. a great qDLRDashboard tip, thanks Gunther! 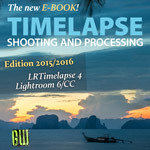 Strange behavior in LR Timelapse 5.08?